Toronto - In light of recent misinformation circulating about some books that were apparently discovered in a dumpster behind Estonian House, The Estonian Central Council in Canada would like to clarify its responsibilities and future of the Central Archives, currently housed in the basement of the Estonian House. The Estonian Central Council is responsible for Central Archives in the Estonian House. The Central Archive exists thanks to decades of volunteer work to preserve and catalogue archive holdings. Much of that work is thanks to the late Paavo Loosberg who (digitized and catalogued the photographic holdings) and Nelli Hubel who directed activities at the archive (and was among the founding members of the Estonian House board). The basement of the Estonian House, where the archives are located, is not currently an ideal archival environment, as potential risks from water, dampness, extreme heat and extreme cold could threaten the holdings. In light of this and the sale of the Estonian House, EKN has engaged with Piret Noorhani and VEMU to relocate these archives to Tartu College over the coming years. The Tartu College Archives at VEMU are professionally administered and monitored and will ensure that they remain preserved for years to come. EKN member, Ellen Leivat has been leading this project for EKN and has been in constant communication with VEMU. Former EKN member Tõnu Tõsine has volunteered to develop and help oversee the process of the transfer over the coming years. It should be clearly noted, that community members have deposited various books and items at both the Central Archive and VEMU over the past years. The Central Archive is not a library nor a used book agency, and there is limited space and resources. Over the past decades volunteers have processed books that have been deposited, and those that are duplicates or triplicates have been sent to Estonia. Another shipment of duplicate books is due to be sent to Estonia shortly, including books processed by VEMU staff. With regards to a recent report by Tõnu Naelapea of books being found in an Estonian House dumpster: neither The Central Archive or EKN have authorized the disposal of any of the Central Archive holdings in the past three years, nor is it aware of any such action being undertaken without authorization. The ongoing reporting of “rumours” and the rampant speculation that’s based on them regarding community organizations, projects and volunteers, threatens our community’s cohesion and the cooperation that has historically helped build the otherwise strong community we have today. The Estonian Central Council calls on community members to refrain from engaging in the irresponsible spreading of unverified rumours and speculation that either intentionally or unintentionally, discredit volunteers and groups in our community. Instead, we should seek ways to support our volunteers and activists and stand together in solidarity. When the books arrive in Estonia, they are delivered to the Tallinn Holding Library, where they can be kept for the Tallinn Library or are sent to other Libraries across Estonia. In 2016 orphaned books that were left in the Estonian House basement corridors were among the books sent to Estonia. And God bless the volunteers, selflessly doing community service. You are an example to us all! 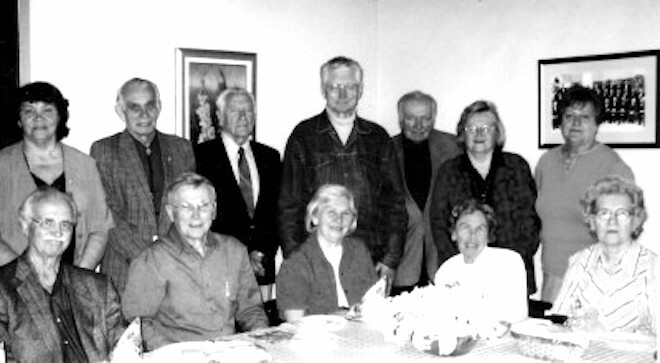 It's great to see all the Central Archive volunteers in the 2006 working year-end photo. Are we to understand that all the Central Archive volunteers pictured in the photo were also members of the Estonian Central Council? 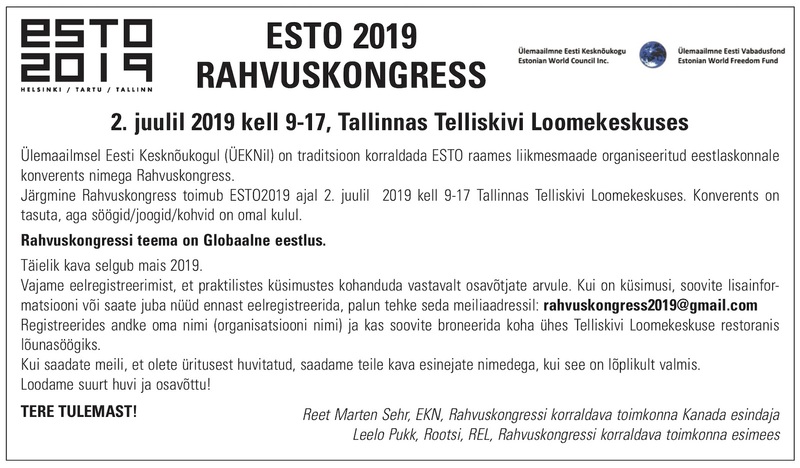 It would also be nice, and relevant to the article, to know who are currently the members of the Estonian Central Council Archive Committee to which reference is made, with Ellen Leivat as Chair. If we're going "to seek ways to support our volunteers and activists", a good place to start might be finding out who they are, and possibly how one might join their ranks. Join EKN, elections are in 2019. If you have more questions, why don’t you contact them directly rather than trying to provoke a fight. Well, if there were now an "Archival Committee" of one (an exaggeration I trust, down from 12 volunteers pictured in 2006), that would be a significant social development worthy of some attention and understanding. This is not really a matter of inevitable decline or individuals ("Why don't you...", etc. how tiresome), though an insistence on such matters could divert attention or prevent a clearing of space for the consideration of issues of accountability, quality and scope of relevant knowledge and expertise, shared vs autocratic responsibility, community and leadership development, and community outreach. It says quite clearly that The Central Archive is working with VEMU to move the archive to VEMU. What’s not to understand there? Since you’re clearly not familiar with the Estonian community in Toronto, the archive committee has been shrinking since the last decade to zero. VEMU has expert staff and volunteers who will work on the archives versus no one at Estonian House. Thanks to VEMU and EKN for working hard to save this archive. Is this “piriseja” complaining because his/her anonymous negative sniping isn’t having an effect or do they think saving the archive is a bad idea? If you don’t like it, talk to your EKN rep or VEMU. Very simple.